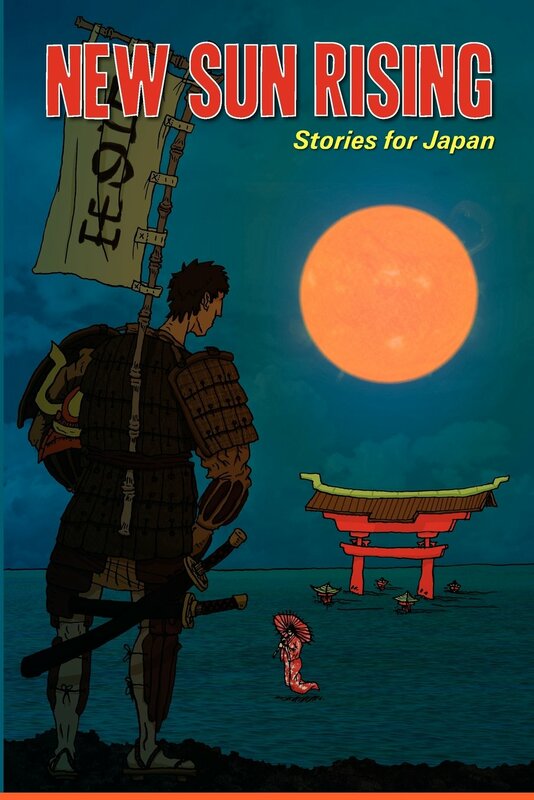 New Sun Rising: Stories for Japan is an anthology of stories, flash fiction, poems, haibun, haiku and artwork and photography donated by over 60 creators from all over the world to support those in Japan still affected by the aftermath of the 2011 tsunami and earthquake. All monies go the Japanese Red Cross. This anthology was prepared by an international team of volunteers and includes the donation of a poem in German with English translation by award-winning Austrian poet and writer, Friederike Mayröcker. Greg Mc Queen, founder of 100 Stories for Haiti and 50 Stories for Pakistan says this: “You’re holding a book that beat the odds. A book made from determination. From compassion. And by holding it – buying it – reading it – telling others about it – you stand with the writers and artists who created it: ordinary people who watched the lives of strangers destroyed and decided that they needed to help.” Celebrate with us Japan and its people. Production Editors: Annie Evett, Sylvia Petter, Michelle Good, Vaishali Shroff. Posted in: My books. Tags: charity anthology, New Sun Rising:Stories for Japan, Raging Aaardvark Publishing.